What’s the Best Airline Miles Program for You? How do you which airline frequent flyer program you should join? It’s easy to be swayed by an attractive credit card offer. And stocking up on airline miles is an amazing way to fly near and far. But only if you can find available flights. Frequent mile travelers are notorious for booking award flights when the inventory first opens up, typically 331 days before departure. Some even call exactly at 12:01 a.m. to get the seats they want, because airlines only release a small number of seats initially for award travel on each flight. If you wait until October to book your holiday travel with miles, you’ll likely see zero availability. Big events can also wipe out frequent flyer seats. Take the World Cup. Even though the games in South America aren’t until next summer, the reward inventory is quite decimated. One of the best ways to increase the odds of being able to book the flights you are interested in taking, is to choose your frequent flyer program based on where you live and where you want to go. If an airline doesn’t have many flights from your local airport to that destination, award seats will be especially hard to come by. That’s where hubs come in. When an airline uses a particular airport as one of its hubs, it’s more than just a cross-country layover. That airline generally controls a large share of the airports gates and flights. To all destinations. Fifteen years ago, it was easy to find direct flights for reasonable prices from mid-size or regional airports to San Jose, California (before it was the gateway airport to Google). Things have changed. 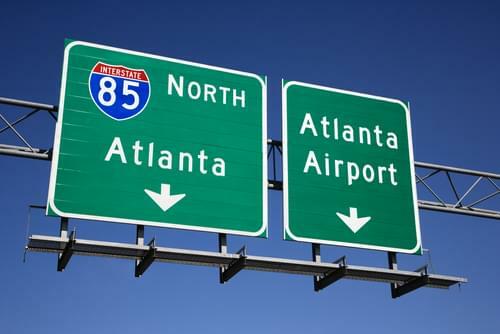 Direct flights on that route went away over a decade ago, but you could still find plenty of connecting flights from most places in the U.S. because of airline hub-and-spoke systems. As airlines have tightened their budgets and consolidated, everyone from single travelers to multinational corporations has been left scrambling with low inventory and sky-high prices from some airports. Chiquita yes, the banana brand even announced recently it would move from Cincinnati, now known as the high-fare capital of the U.S. to Charlotte, expressly because they were having problems running their business with such expensive flights and so few of them. No matter how good a deal you get with a rewards credit card, if the airline connected to the card doesn’t service your local airport well, it might not be the right deal for you. And if it doesn’t fly where you want to go, cross that carrier off the list. Where Is Your Nearest Hub? That means there are really only a few hubs that you need to know about. Here’s a rundown of the main airlines where you’re likely to find the most rewarding loyalty programs and their hubs. So increase your odds of being able to trade in your miles by aligning yourself with the right carrier.